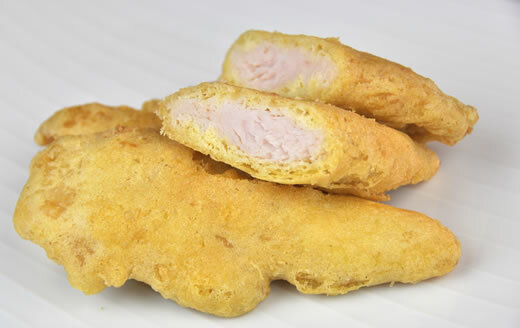 We can produce our chicken fillet with light batter or with bread crumbs. They are suitable for all cusines and whether it is for ready meals or restaurant use. Kim’s pre-prepared, ready to use battered meats will save you time and ultimately costs. Yet, we can trace every piece of meat to where they were farmed and prepared. Thus to ensure the highest quality of meats are used at Kim’s production.